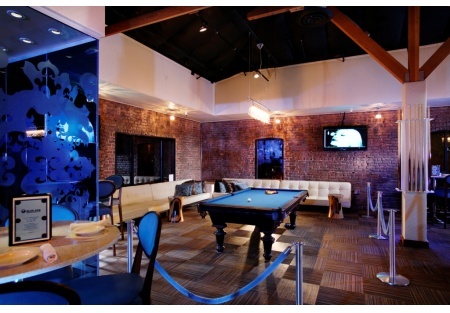 SellingRestaurants presents this wonderful and rare club in mid-town Sacramento for sale. This club is 100% absentee operated. Owner doesn't even show-up to the club! This is not your trendy club needing to be re-invented every 18 months along with another $500k in remodeling and remarketing costs; rather it is a mainstay in the area with more than a decade of history in providing a professional format where the white collar players meet after work and later in the evening for fun and entertainment. If you want to grow the business, then turn it into a sports bar by day and club by night! the format will work for both busineesses. The clientele are professionals who have the money to spend on beverages as well as FOOD! Yes, the club has a full kitchen serving all sorts of food items to meet the appetite of their wealthier upscale clientele. This venue is perfect for the entrepreneur who knows how to market to businesses and get their meeting budgets into this centrally located beautiful and convenient club. The lease is great with a total of 9 years remaining through 12/1/2018. The rent is fixed for the remainder of the lease at about $7,300 a month! The operation is running like a Swiss watch right now with pour costs down from 29% in 2008 to 23% in 2009 and labor costs down from 33% in 2008 to 23% in 2009. There is strong management in place if you want to run it absentee. Keep them or you can step in yourself and remove some of the management costs. So you do the math here! 9% rent, 23% beverage and food, 23% labor makes for 55% prime costs well below the industry target of 65% and lots of profit to be had here! The Net is Seller's Discretionary Net Income, which means the current general manager's salary of roughly $60,000 has been added to the advertised income. This is a very exciting business and also exclusive business. All Buyers must be pre-qualified and have a great credit score, more than 5 year club/restaurant management, and plenty of cash on hand to purchase the business and have working capital to maintain the business. Broker will ask for proof of funds. So let's get the process started by selecting one of the orange buttons below to view more photos. This is a Paramount Restaurant Brokers, Inc. DBA SellingRestaurants.com listing. Absemtee Operated Hot Mid-Town Sacramento Club Location. Advertised Income is Seller's Discretionary Income (SDI). Great Earnings History w/Verifiable Tax Returns. SBA loan is possible, but certainly not guaranteed in this financial climate. Buyer should have Restaurant/Club experience. Fantastic Fixed Monthly Rent for Another 9 Years! Capacity is in the 180+ range. Solid history of earnings on tax returns. There is an outside patio for those smokers!